Pineapple Express | OK Listen! 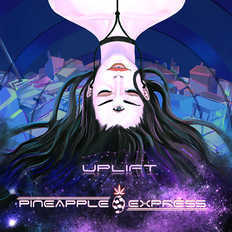 Pineapple Express are a modern progressive fusion band based in Bangalore. They have been active in the scene since 2016 and have bagged several awards for their performances. Known for their signature songwriting and their high energy audio-visual live sets, a Pineapple Express concert offers something for everyone and promises to be a unique experience not to be forgotten anytime soon. Their genre-bending debut EP 'Uplift' is available for purchase now on all major streaming and purchase platforms.